This bizarre vessel might look like a floating box but it's actually the world's most luxurious houseboat - and it could be yours for less than a London flat. 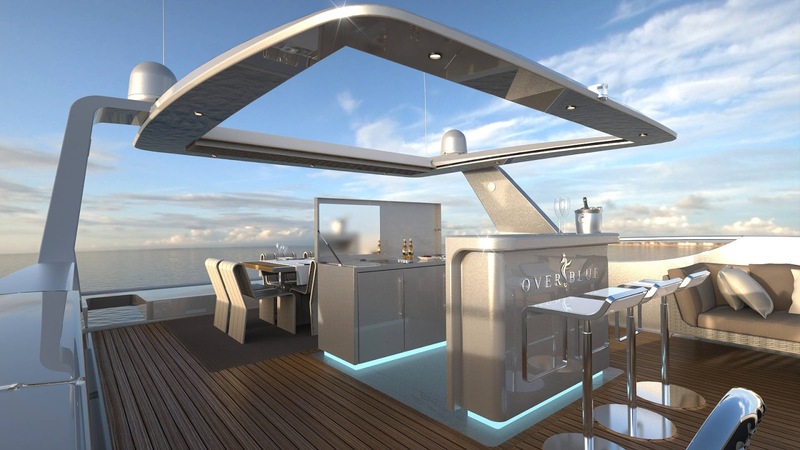 With its sprawling lounges, fully-equipped kitchen, 360-degree views and even a 'roof terrace' the oblong-shaped boat is the yachting equivalent of a penthouse apartment. 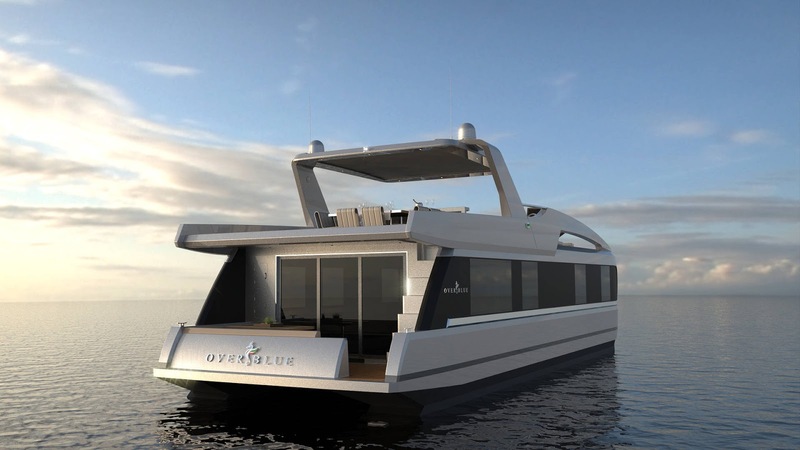 But, unlike a city centre flat, it can also be sailed across oceans as it is the first houseboat designed for use on the open sea. 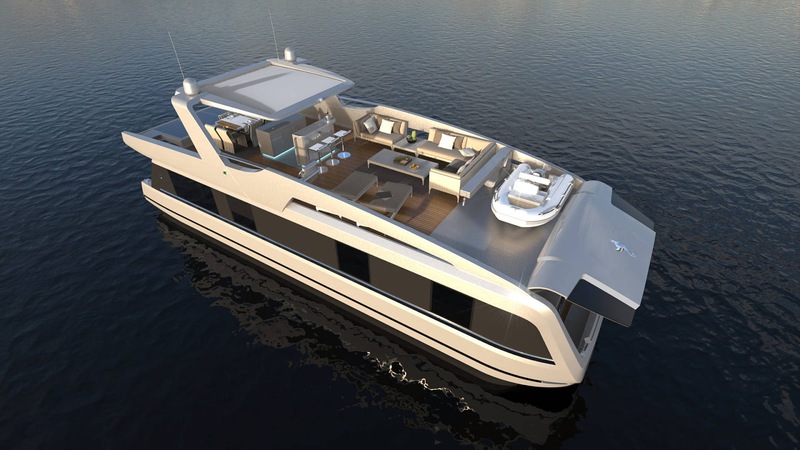 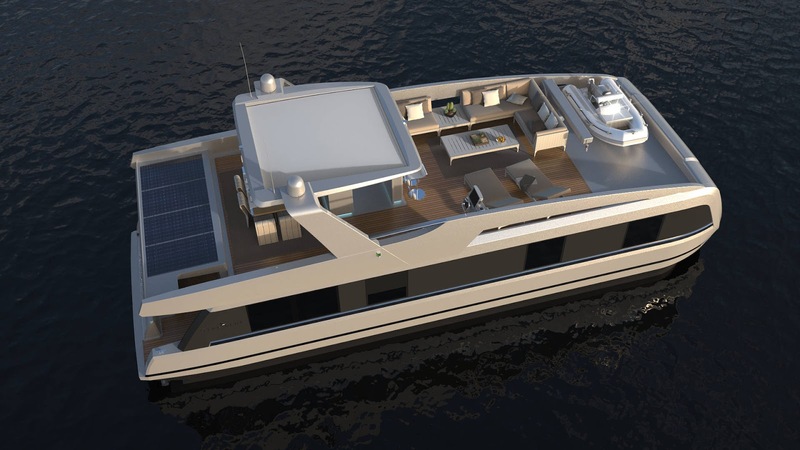 The wacky 'floating motorhome', called Overblue, also boasts king size beds, en-suite bathrooms, an onboard jacuzzi and a vast first-floor 'flybridge' for al fresco entertaining. 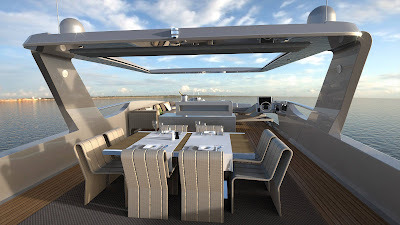 The yacht is the brainchild of Italian boat manufacturer Raffaele Grotti who came up with the idea for it after renting a houseboat in Florida. 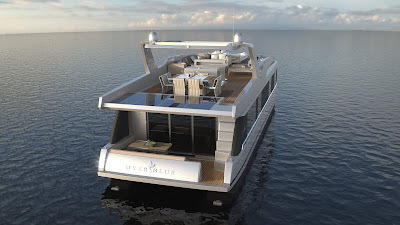 Mr Grotti decided to design a vessel that recreated the feel of a houseboat but with a much more modern spin. 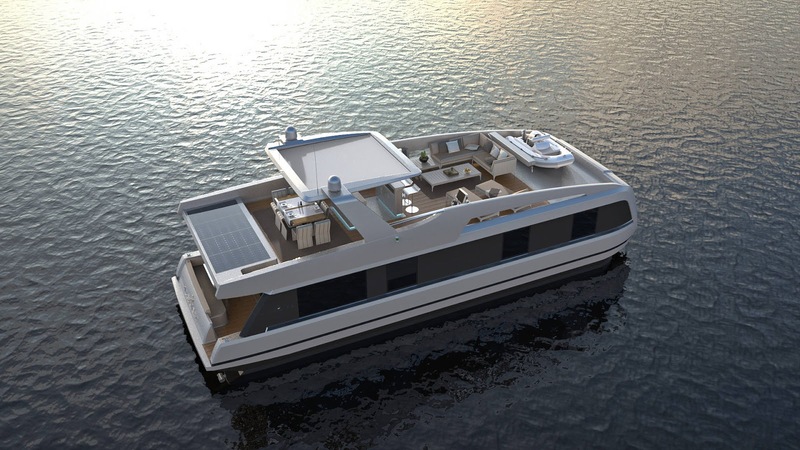 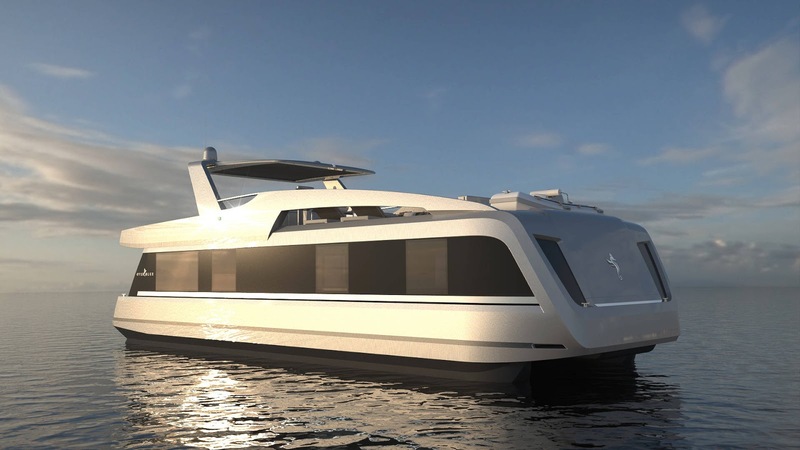 Rather than the standard flat-bottom houseboats Mr Grotti's team designed theirs to have two hulls for increased stability, speed and comfort. After two years of development the company has just launched two models - a 44ft standard boat and a more luxurious 54ft version - with plans for a deluxe 64ft boat in the pipeline. 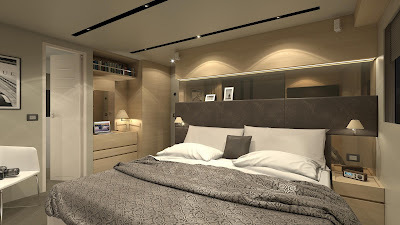 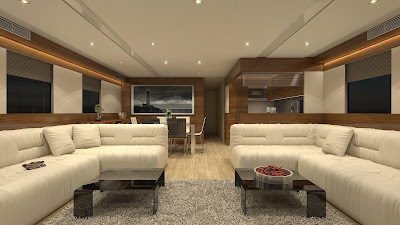 Prices for the three-cabin Overblue 44 start at £240,000, cheaper than a small studio flat in London, but buyers can expect to fork out at least £600,000 for the top spec 64ft model. 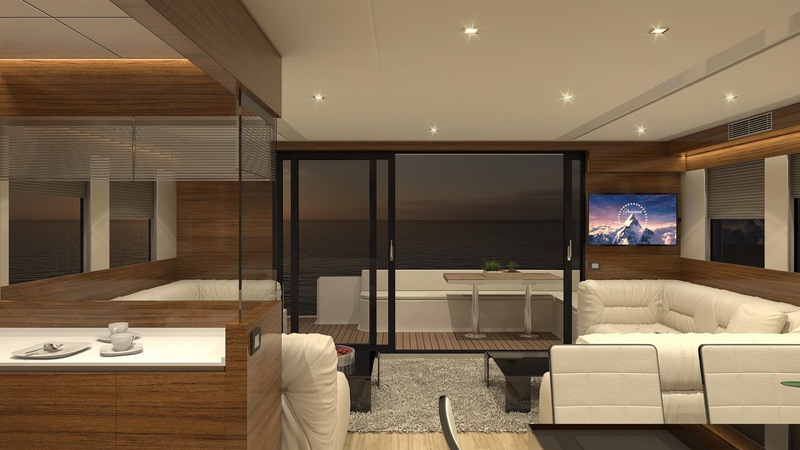 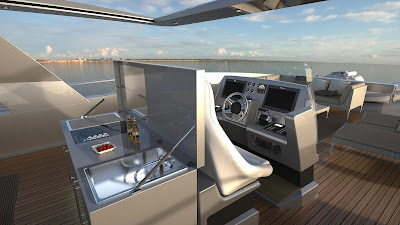 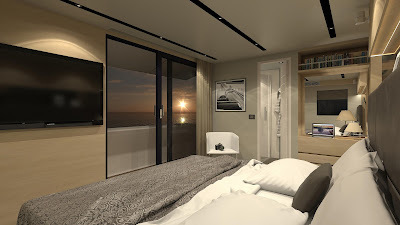 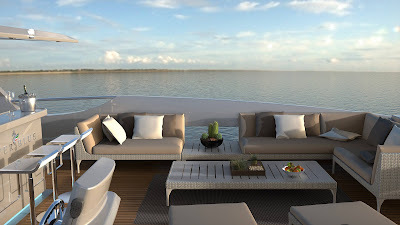 Each boat can be customised to the client's own taste with a host of optional extras including an electric sun visor, a 'smart' system that monitors every aspect of the boat from one screen.